We are proud to announce that after a lot of hard work Princess River Cruises have relocated to a brand new location called the River Lodge. 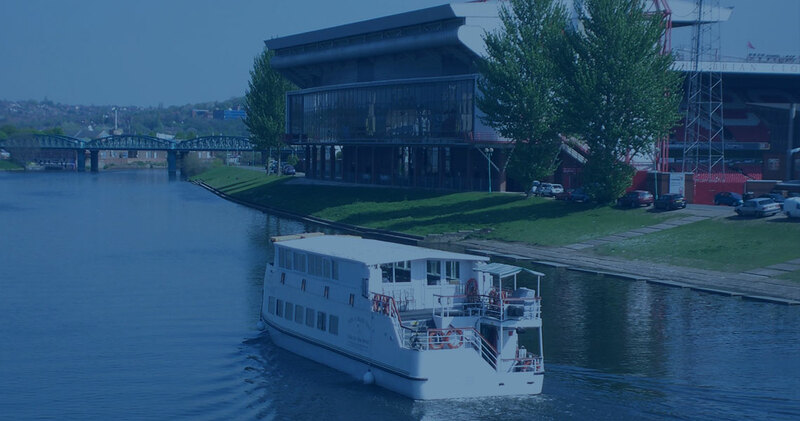 We are now able to enhance your whole river cruise experience by offering a modern river lodge with bar, reception room and a south facing terrace on which to sit, relax and enjoy a pre cruise drink before boarding either one of our boats the Nottingham Princess or Nottingham Prince. The new River Lodge is located just opposite the racecourse in Colwick Nottingham, nestled on the edge of the beautiful Colwick country park. If you are passing, please pop in and see us whereby it would be our pleasure to show you around and discuss the opportunities that the River lodge could offer for your next celebration. We hope that you enjoy what we have created for your pleasure.